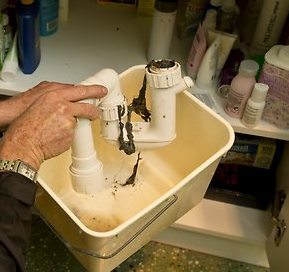 Wondering what that smell is when you pull the basin plug or why water is pushing back up? This usually indicates a blocked drain. There is various ways to clearing blockages, easier than one would think. There are many chemical products one can purchase at your local hardware stores and supermarkets. Most of these drain cleaners are usually made from caustic soda. Ensure that you read the manufacturer instructions carefully and follow them accordingly. After using caustic soda or a likewise product, flush the product from the drain pipes by running hot water for a while. One could also pour some bicarbonate soda down the blocked drain to clear the blockage, followed by vinegar for smaller blockages. Most U bend drain pipes are made from plastic and have a cap you can unscrew to remove what is causing the blockage. Remember to place a bucket underneath the U bend before unscrewing the cap, as there will be water in the pipe. Unscrew the cap and clear the blockage. Should you find no blockage in the actual U bend, run a piece of wire (old wire hangers work great for this purpose) to clean the pipe out lower in the system. 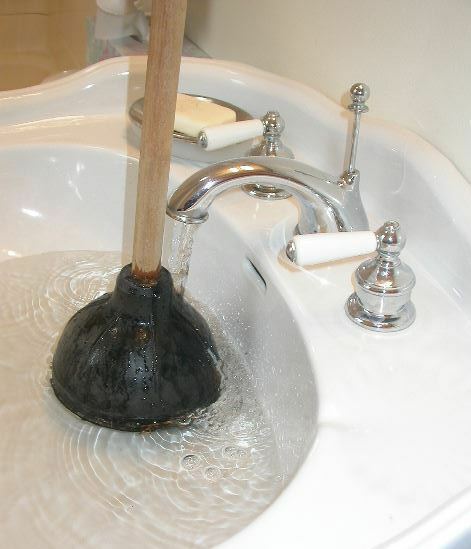 If you still have a blocked drain, it’s time to use the plunger. Simply place it over the clogged drain’s sink. Cover the plunger with enough water for it being able to form a proper seal action. Plunge repeatedly and release. You might need to do this several times and as the blockage debris comes up, you will need to remove it and throw it away. When you are sure the blockage is cleared, replace the cap of the U bend. 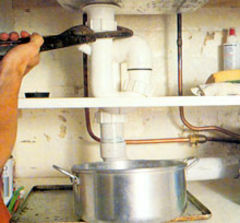 If none of the above works, please call our 24 hour plumbing line, as you then have a real plumbing problem.